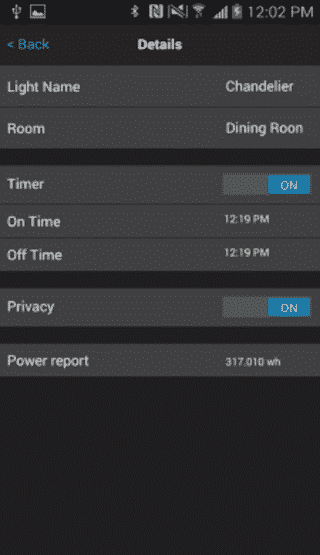 Smart Lights is a home automation controller app that can efficiently control the smart bulbs in your home and manage the electricity consumption. We have developed Smart Lights app for Smartbotics Inc, which is based in California. Smart Lights app work on Bluetooth Low Energy technology to manage Robosmart wireless LED bulbs. The apps were one of the first apps to be launched in the market to automatically connect to LED bulbs over Bluetooth. App will ask user to turn on Bluetooth of their mobile device. Once the Bluetooth is turned on, App will start the scan process to find nearby Robosmart bulbs. App will display list of nearby Robosmart bulbs. App will automatically connect to nearby Robosmart bulbs and thereafter user can control the light intensity of bulbs. 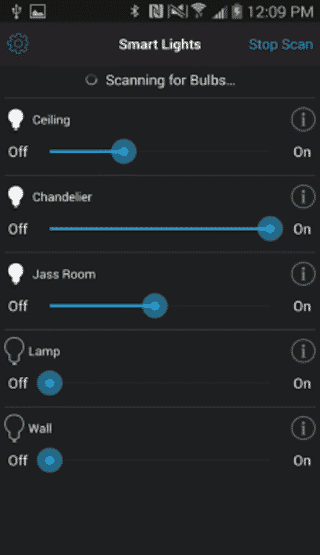 User can access dimmer settings and On/Off any Robosmart Bulb. User can access the slider to dim the bulb light. User can access Ramp control to ramp on or fade off the light. User can access any Bulb detailed view. User can assign Name, Group, and Room Location to any Bulb. User can set Timer for controlling. User can check total power consumption. 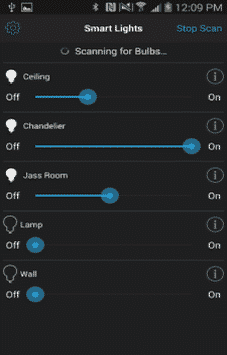 User can configure privacy characteristic for Robosmart Bulb. 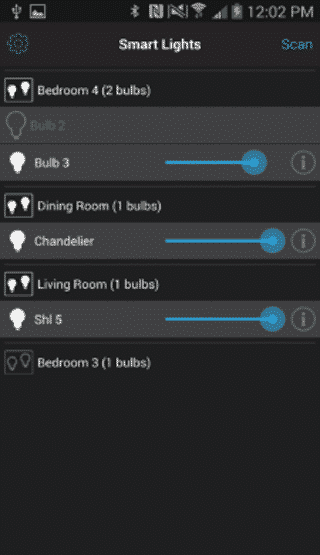 This app was challenging since Bluetooth LE was latest technology and had to be integrated with the app to connect to smartbulb. Client also wanted to provide best user experience by providing elegant designs aesthetics to simplify complex technological world. 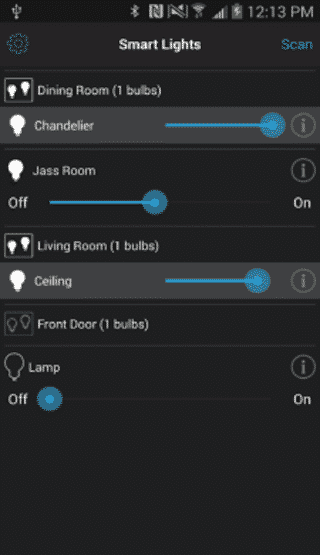 Our experience Android developers researched for the solution rigorously and created the code to have App connect with the BLE Smartbulb. We built the system in a way that there is no need do any configuration in smartbulb. You need to simply screw in a Robosmart bulb and start the app to connect and scan. Once the app pair with Robosmart bulb, you can control the bulb light. SmartsLights has BLE Integration, Hardware Configuration, Timer and Control Settings Tools.